Since you need to plug in your power motion recliner, it just makes sense that your furniture can serve the dual purpose of recharging your body and recharging your phone or tablet. 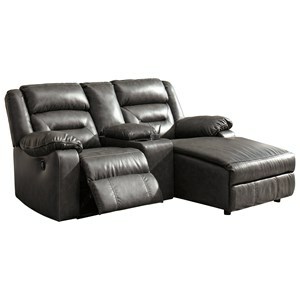 This model of recliner can be customized with a built-in USB port just for that purpose. 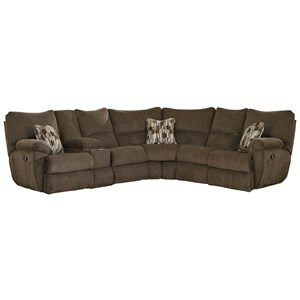 Dress your family room in cozy comfort with the casual contemporary style of this living room sectional. 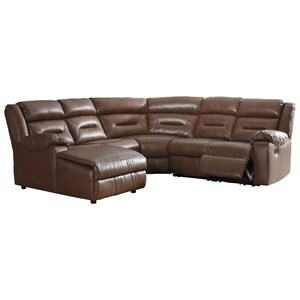 A sectional sofa with an up-to-date look, this piece features smooth pulled upholstery with luggage stitched details. 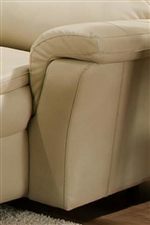 Thick cushion padding provides daily comfort while extra wide seat cushions enhance relaxation. 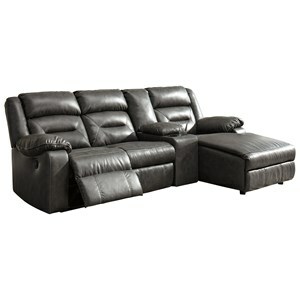 Complete with consoles and a reclining chaise component, this sectional sofa is a great solution for casual styled family homes. 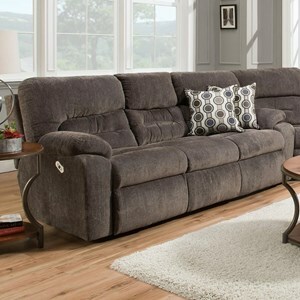 The Milano Sectional Sofa with Consoles by Franklin at Virginia Furniture Market in the Rocky Mount, Roanoke, Lynchburg, Christiansburg, Blacksburg, Virginia area. Product availability may vary. Contact us for the most current availability on this product. 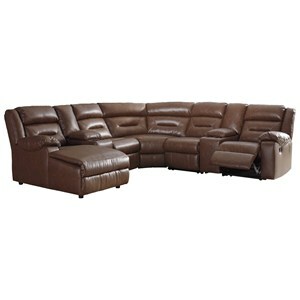 41377 Storage Console 2 14" 40" 40"
41301 Left Arm Recliner 1 44" 40" 40"
41399 Wedge 1 69.5" 41" 40"
41307 Armless Recliner 2 32.5" 40" 40"
41386 Right Arm Power Bed Chaise 1 43" 67" 40"
Fabric Options Available in Upholstery Option(s) Shown. Additional Options May Be Available Through Special Order Methods. 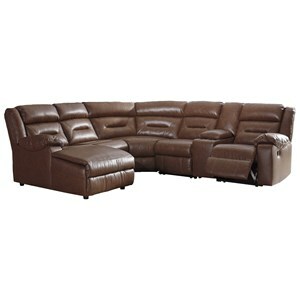 The Milano living room and family room collection features smooth frame lines and overstuffed cushions. Crafted to create a cozy home environment, this collection features a plush upholstery covering with extra wide, contoured seat cushions. Luggage stitch details complement the casual but trendy look while multiple (un-pictured) configuration options help you to create the sectional sofa that best fits your families needs. The Milano collection is a great option if you are looking for Casual furniture in the Rocky Mount, Roanoke, Lynchburg, Christiansburg, Blacksburg, Virginia area.